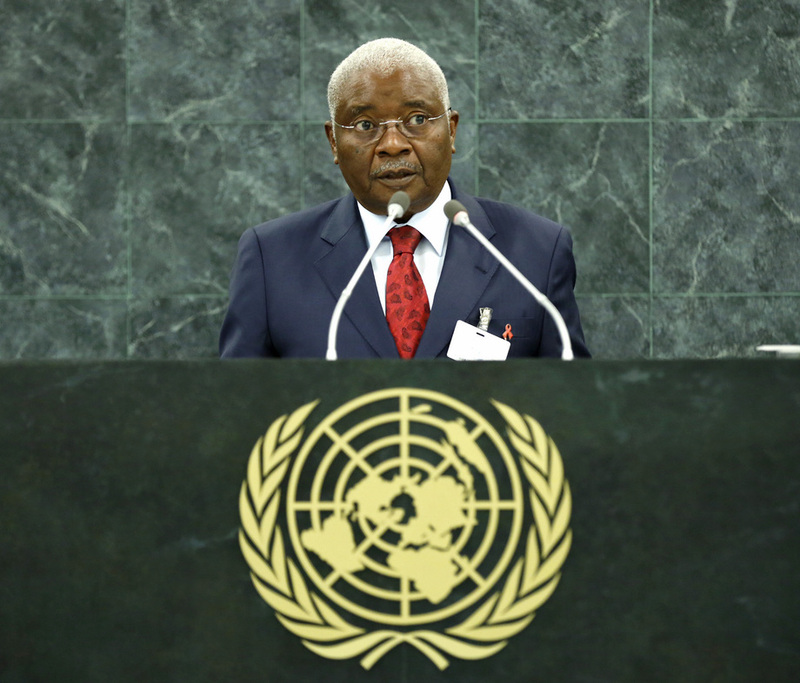 ARMANDO EMÍLIO GUEBUZA, President of Mozambique, said the post-2015 development agenda should be based on such principles as inclusion, national ownership in the context of its sustainability and shared responsibility among development partners in its implementation. The inability of a State to meet the internationally agreed development targets represented a collective failure of the global community because the Goals were a shared responsibility of all States. Noting that Mozambique had been chosen to carry out a national consultation on the post-2015 development agenda, he highlighted that the trust in the country’s civil society in driving that process strengthened the principle of national ownership and created the conditions for the Mozambican social actors to demonstrate their growing vitality, which was a true reflection of the consolidation of democratic processes and inclusive governance there. The Government, he went on, had been furthering democracy, reinforcing the democratic institutions and consolidating democratic practices through transparency, dialogue, and participation, by instilling respect for the Constitution and broadening the space so that more Mozambicans could get involved in combating poverty. On 20 November, municipal elections would be held for the fourth time, with the fifth general and multi-party elections slated for 2014. “The materialization of this electoral cycle is the beacon in exercising freedom of choice and in ensuring citizens’ political participation in the democratic process,” he said. Recalling that Mozambique, last August, had ended its tenure as Chair of Southern African Development Community (SADC), he said his Government, together with other Member States, African Union, United Nations and other partners had engaged in galvanizing the process of regional integration and achieving regional peace and stability. However, instability in the Democratic Republic of the Congo remained a challenge and called on all signatories to honour the tenets of the Framework for Peace, Security and Cooperation in the Democratic Republic of the Congo and in the Region. He also expressed support for the political transition in Madagascar and for efforts to stabilize the situation in Guinea-Bissau. Lastly, he supported self-determination for the Palestinian people, the existence of a Palestinian State based on the relevant United Nations resolutions and the two-State solution. He also backed the self-determination of the Saharan people and reiterated the need to end the economic, trade, and financial embargo against Cuba.